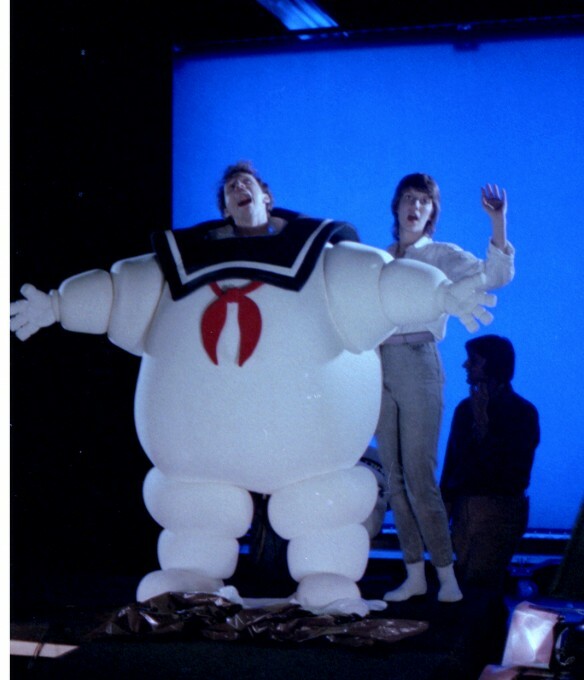 Behind the scenes - Ghostbusters. 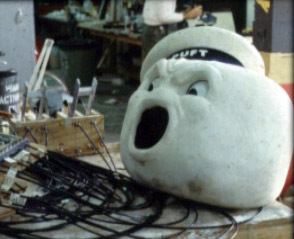 Here's a selection of photos where folks from Boss Film Studios bring to life the Stay Puft Marshmallow. We've also included some interesting facts on the 1984 classic and Boss Film Studios for you to enjoy. Rival company to Industrial Light & Magic at the time, Boss Film Studios was headed by ex-ILM, Richard Edlund. 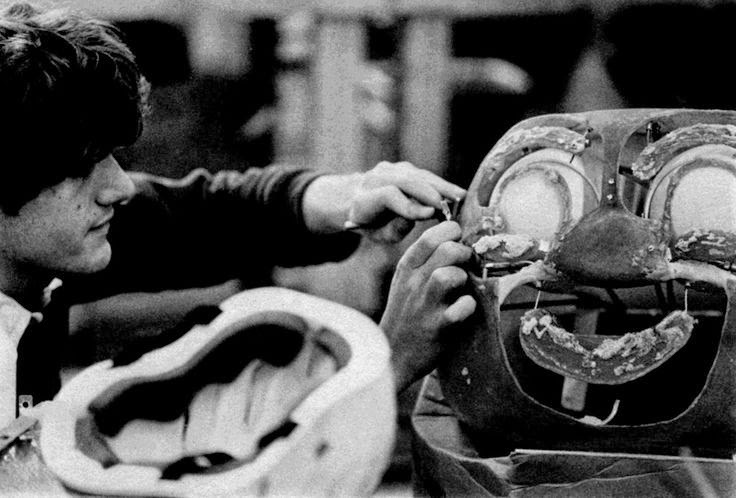 Edlund had worked on Raiders of the Lost Ark and the Star Wars movies at ILM before leaving to form Boss Film Studios. Notable projects the company were involved in were Fright Night, Poltergeist II, Die Hard, Ghost, Alien 3, Batman Returns and Starship Troopers. They closed their doors in 1997 blaming the current industry not favouring independent companies. 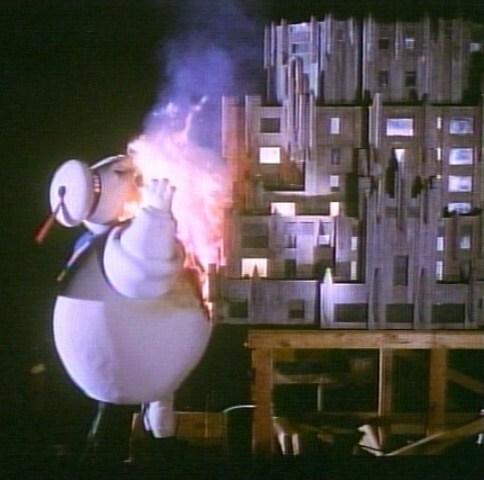 The Stay Puft Marshmallow man was played by William Bryan. Bryan also worked as a puppet modeller on Jurassic Park III and a puppeteer on Men in Black. He also spent time with Stan Winston working on A.I. and Jurassic Park III. When talking about the comedy element in Ghostbusters and working on the effect Edlund said, "it actually freed us up. It was fantasy stuff, which you can do in a comedy. 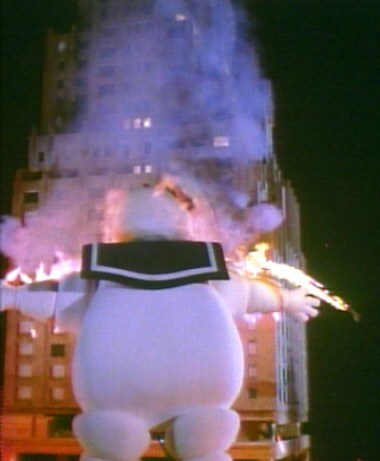 You can have an eighty-foot Marshmallow man stomping down Broadway. 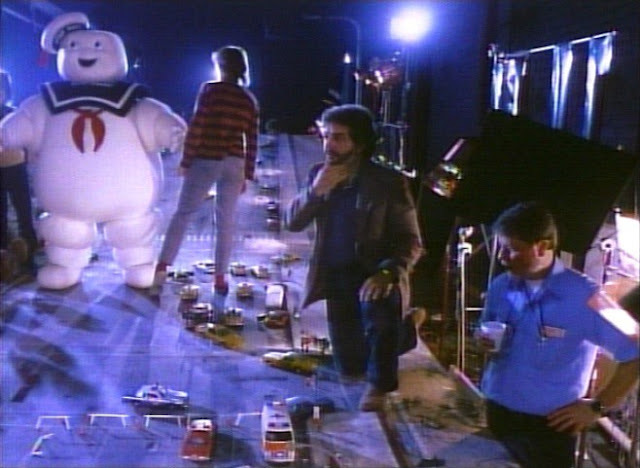 We never did actually figure out exactly how tall the Marshmallow Man was! It's sort of like, how big is the Death Star? 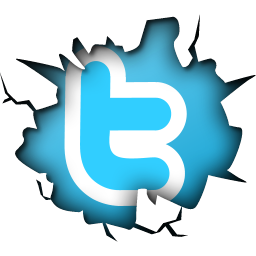 With the wand, the wobbly, multicoloured rubberised light was comedic in itself." 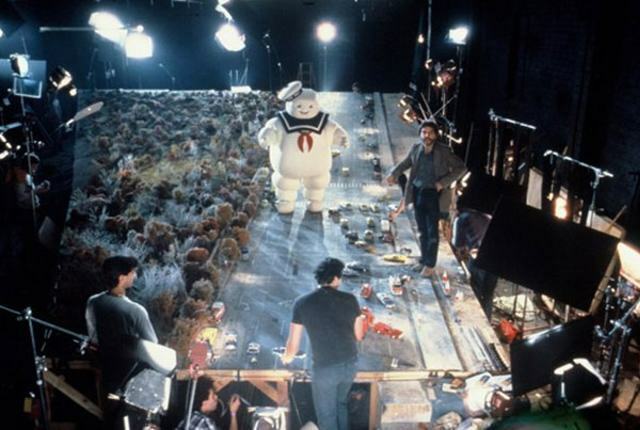 They had 10 months to get the effects for Ghostbusters done with a budget of $5 million. They went over budget by $700,000. The Marshmallow Man was originally going to feature more in the movie but budget stopped the soft sweet giant from appearing until the end of the movie. 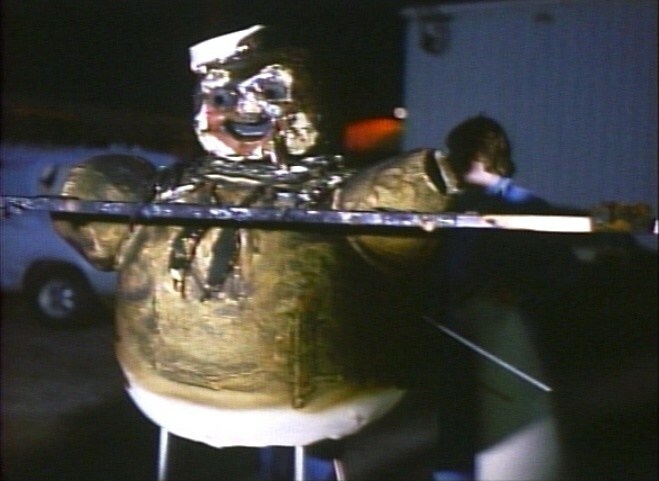 He was originally supposed to get his screen debut by crawling out of the river quite early on in the movie. Apparently doing this would have cost an extra $300,000. 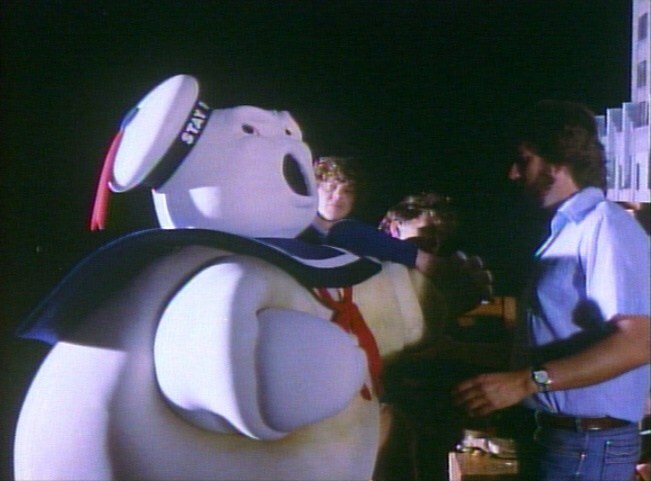 Each Stay Puft Marshmallow costume cost around $30,000 in 1984's money and apparently the foam was toxic. The fitting was also extremely uncomfortable. William Bryan also had to have air pumped into the costume to allow him to breath. 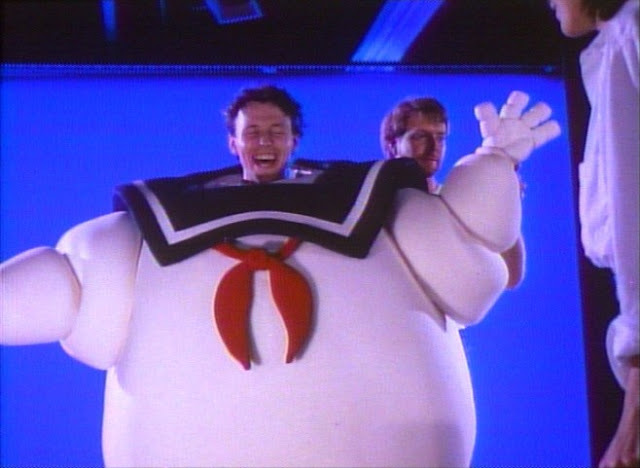 The marshmallow goo that explodes onto William Atherton is actually 50 pounds of shaving cream. If you enjoyed the behind the scenes look at Ghostbusters and would like to see us do another movie, feel free to let us know which one we should do next.